Hailing from Hawaii, the young ultra-talented and inspirational alternative rock band Red Light Challenge (www.redlightchallengeband.com), have recently been nominated for an impressive music award at the prestigious 24th Annual Los Angeles Music Awards, set for November 12th at the plush Avalon Hollywood. This is the first time in the history of the LA Music Awards that any performer from Hawaii has been nominated. Red Light Challenge, who originates from Honolulu on the Hawaiian Island of Oahu, is made up of brothers Sean (21) and Kyle (17) Luster. The pair has recently been featured in media outlets across Hawaii in celebration of both the band’s original music and staggering fast-paced international successes. The boys are now set for global stardom as they vigorously rehearse ahead of various performances booked in Hollywood, the entertainment capital of the world, later this month. The LA Music Awards voting for Red Light Challenge is well underway at www.lamusicawards.net/nominees. The band will also be incorporating a short tour, by popular demand, during their time in Los Angeles with shows penned for June 18th at Witzend, Venice and June 20th at Amplyfi, Hollywood with more dates to follow. They will also be in attendance on June 19th at the Whisky A Go-Go in Hollywood for the LA Music Awards Nominee and Press Event. Aside from performing, Red Light Challenge is keen to give back to music programs in public schools across the country. They have created a non-profit community-involvement program called “Red Light Challenge, Green Light Go” where the band performs and speaks with public school students. 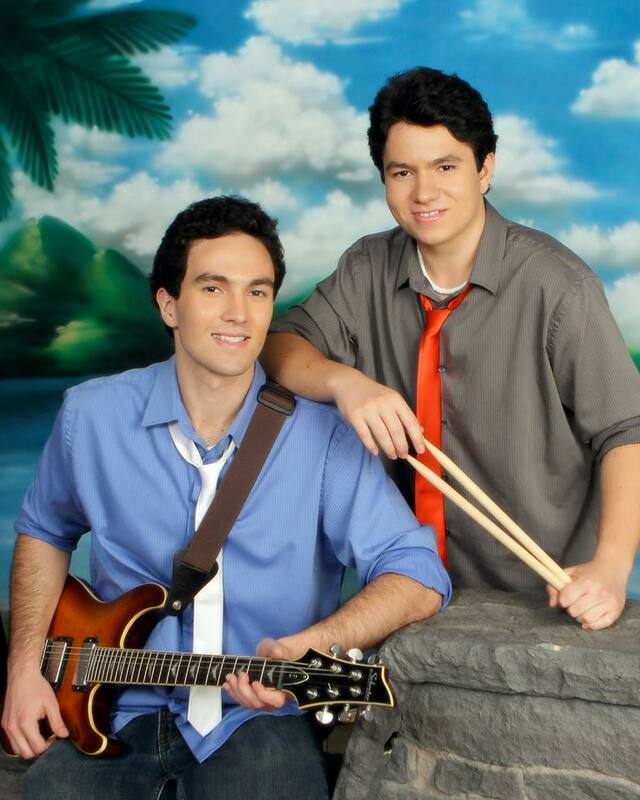 The brothers are conscientious about the songs they diligently write with their ultimate goal to inspire younger generations in both music and the arts. Voting for the band Red Light Challenge is simple at www.lamusicawards.net/nominees. Select the category; ‘Hot AC Artist’ and cast them your vote! This entry was posted in Music Awards, Uncategorized and tagged Hawaii LA Music Awards, Hawaii Red Light Challenge, LAMA Red Light Challenge, Red Light Challenge emrmedia, Red Light Challenge LA Music Awards 2014, Red Light Challenge Liz Rodriguez, Red Light Challenge Music, Sean and Kyle Red Light Challenge. Bookmark the permalink.